Doing chores is a tradition in most families. Chores allow children to contribute to the family, learn responsibility and take pride in their work. When it comes to chores, your child may be able to do more than you think. 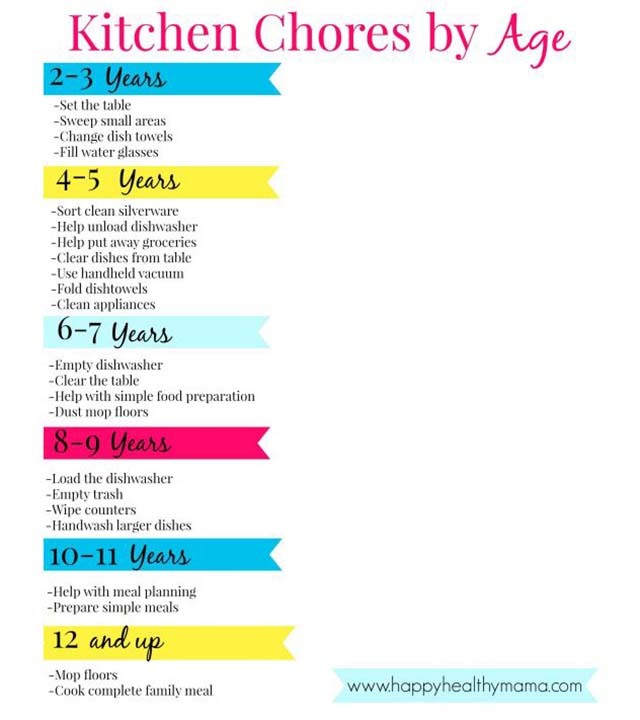 SuperHealthyKids.com came up with a handy chart that breaks down what chores are best for each age.